Would you like to power your home with clean energy from the sun? 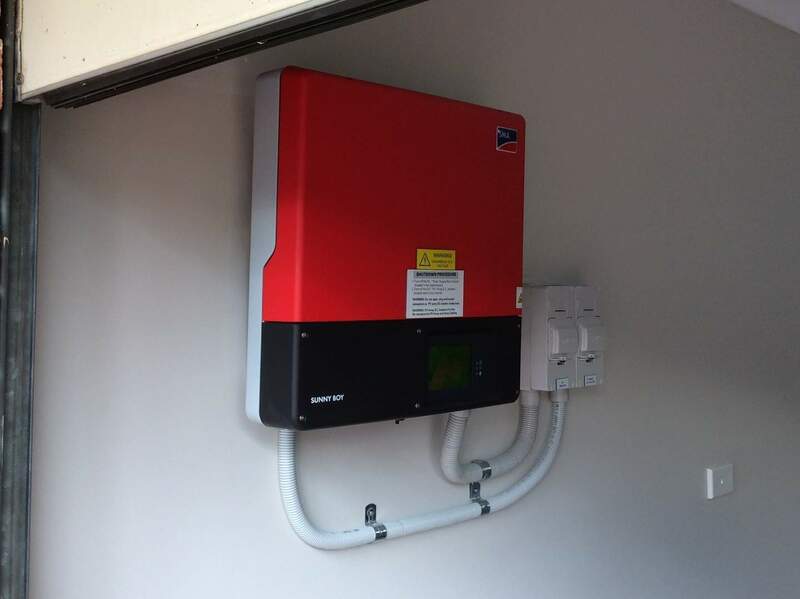 Are you looking for a solar power installer who will come to your home and give you a personalised service? Solarbank can help. 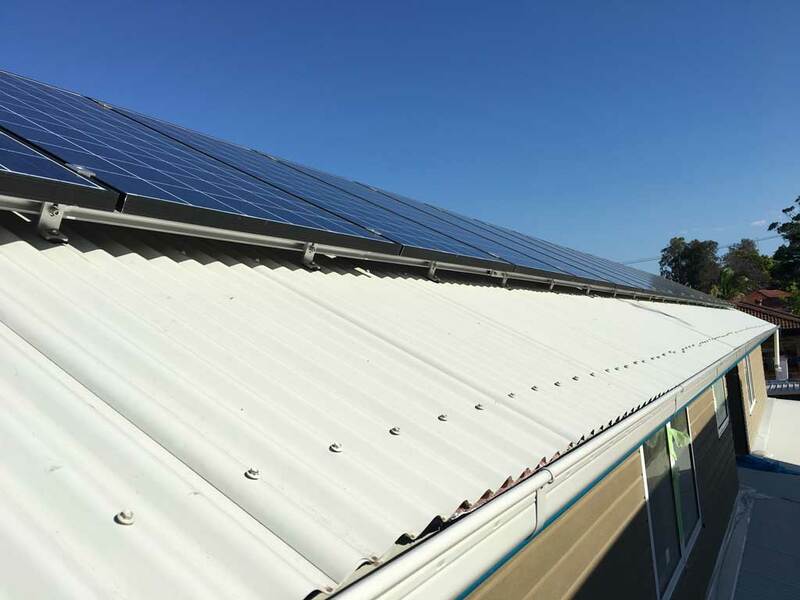 We cater to all circumstances and power needs and you’ll be surprised by how easy and cost effective solar energy can be. We also help you take advantage of the generous financial incentives still available. Solarbank will complete all the paperwork and apply the STC discount to the cost of your system straight away, which means you only have to pay the balance. If a positive environmental decision is so good for your hip pocket then why not do your bit. Do you want to know if solar power is a worthwhile investment for your home? 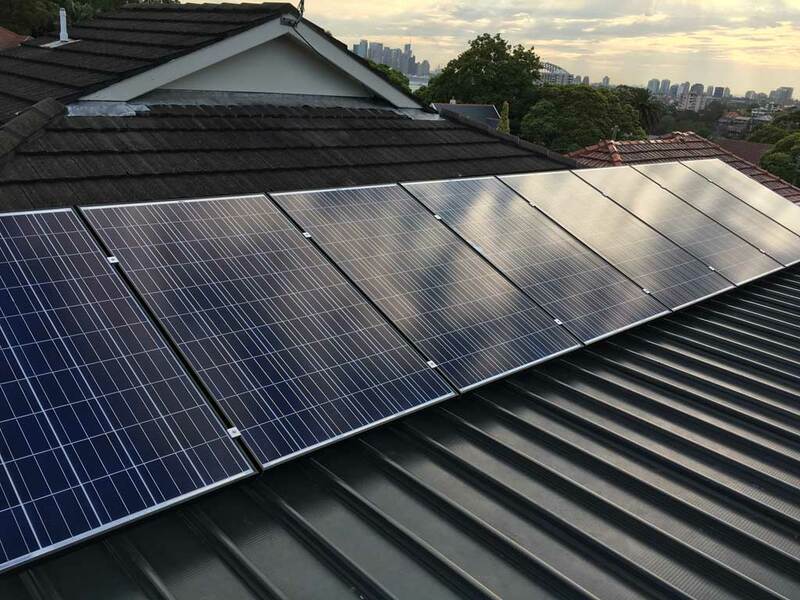 With rising electricity rates, and a growing number of households using more and more of the latest electricity consuming gadgets, a quality solar power system is one of the best investments you’ll make today. Solar power offers more than just financial benefits. Installing solar power also creates a positive environmental impact, which makes it attractive to invest in a solar system. Solar energy is a sustainable and cost effective way of powering your home. 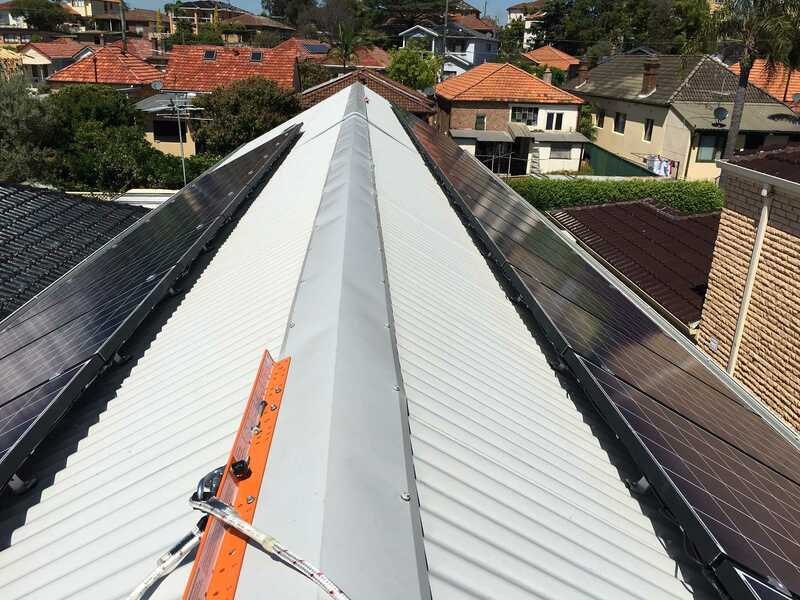 Your home is your most important asset, and you can feel confident knowing that Solarbank installers and designers are experts in solar power. We’ll guide you through every step of the process, from consultation to installation, right through to after sales support. 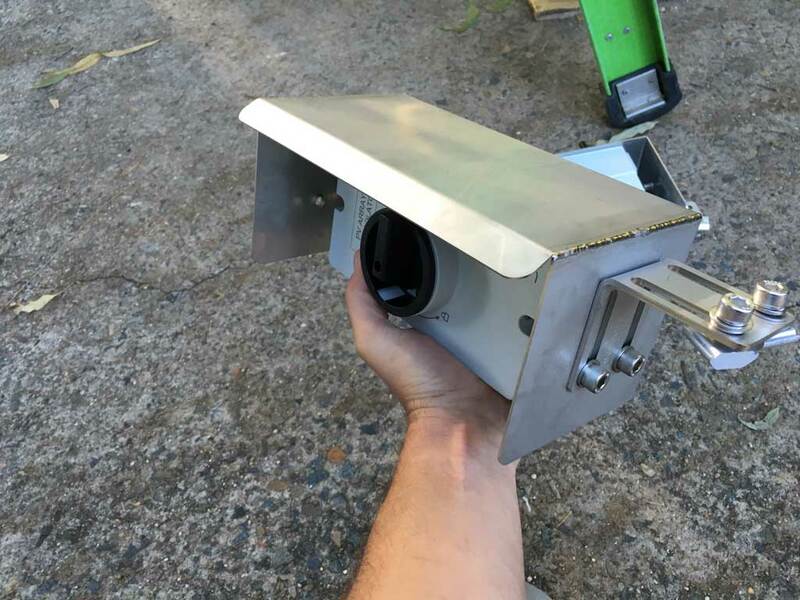 We only use quality equipment and pride ourselves on delivering the highest standards in system design and installation. We’re also an employer of choice to our installers, who consistently exceed our customer’s expectations. 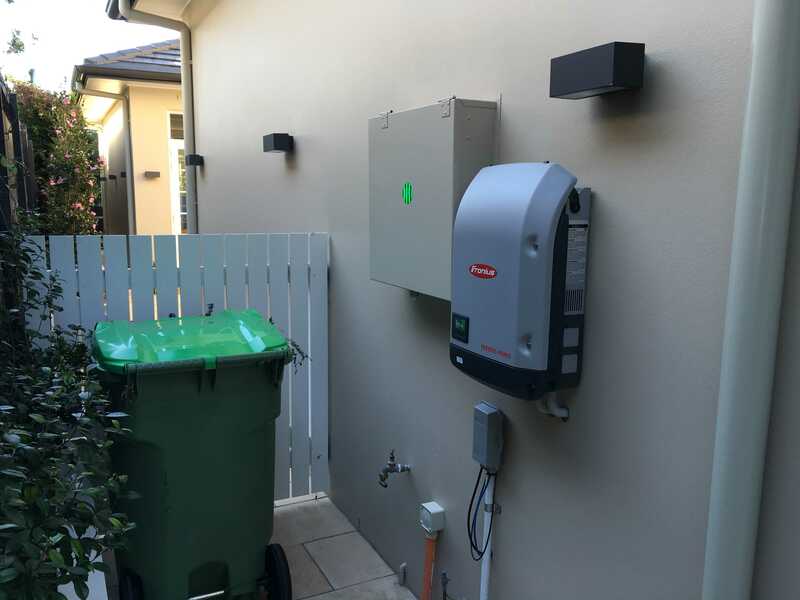 Our installers and system designers have an expert knowledge of grid connect and hybrid (battery) solar power systems. They also maintain their education through a continuous professional development program involving workshops, face-to-face and online training. 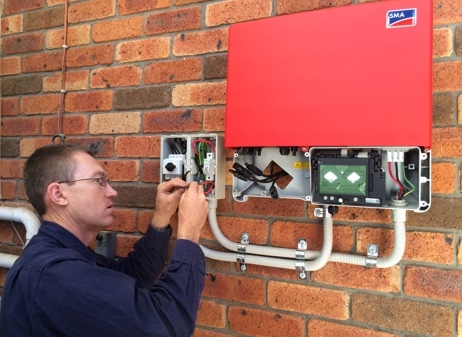 All our installers and designers are Clean Energy Council Accredited. 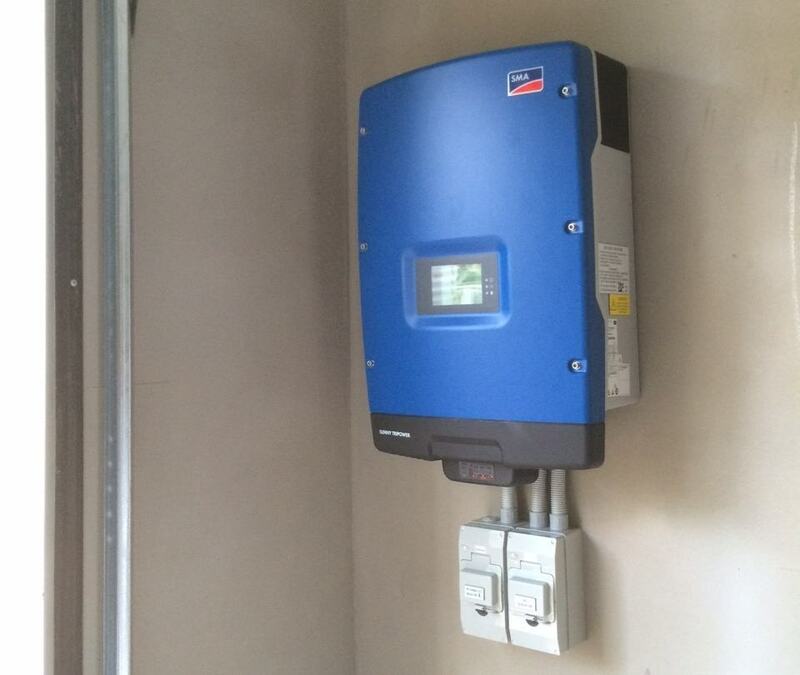 Solarbank offers our residential customers competitive pricing, a quality installation and high-grade products. 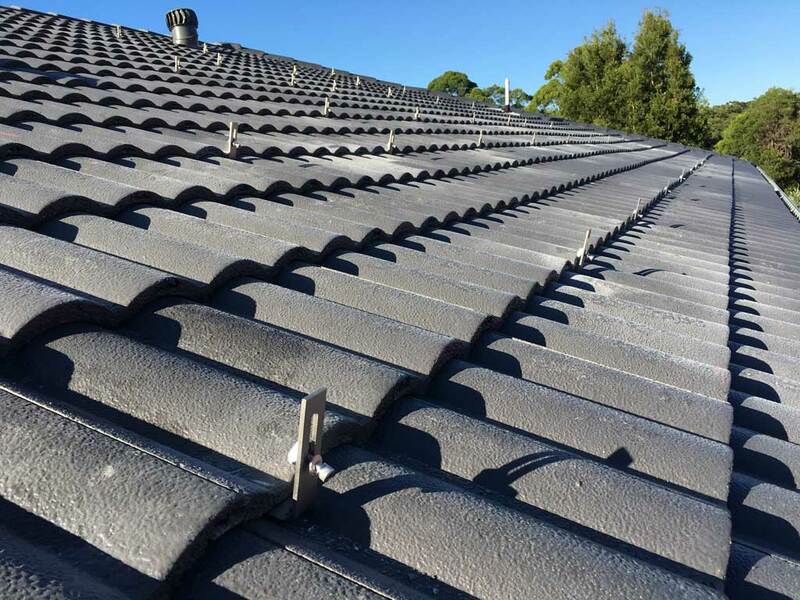 We visit your home, conduct an onsite assessment and guide you through the whole installation process. 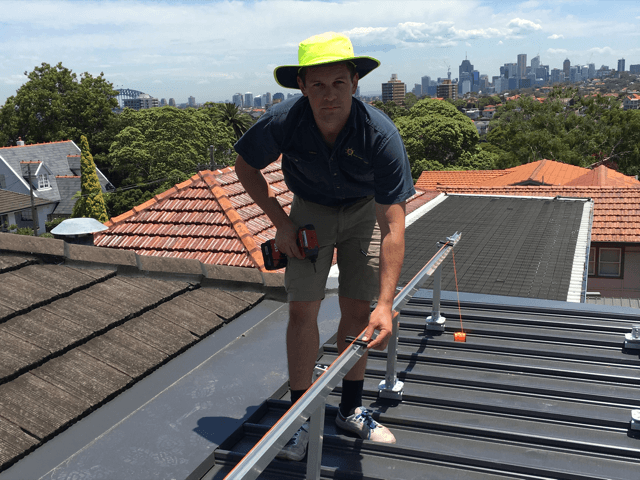 We’re proud to have some of the most experienced and enthusiastic installers in the solar energy industry delivering outstanding workmanship and design. 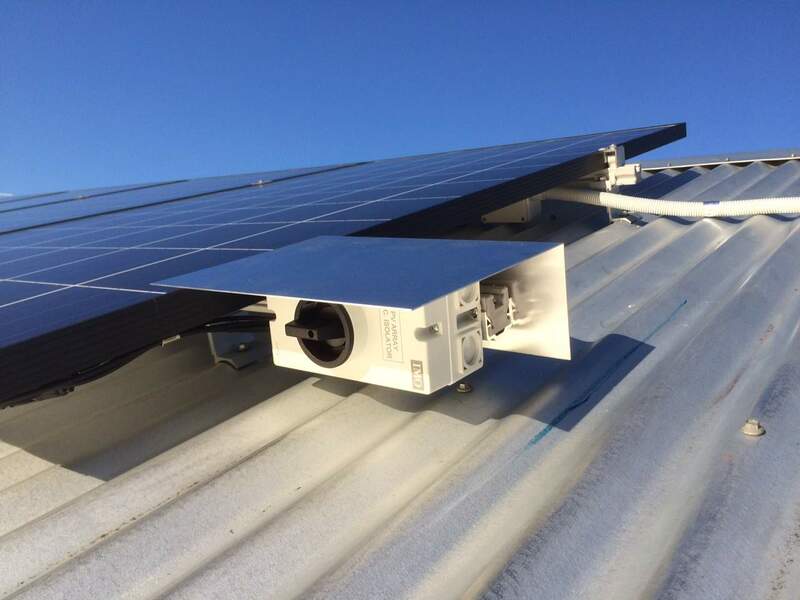 When a customer trusts in us to install a solar power system at their home or business we take it seriously and are mindful of the importance of maintaining the aesthetics of the premises. 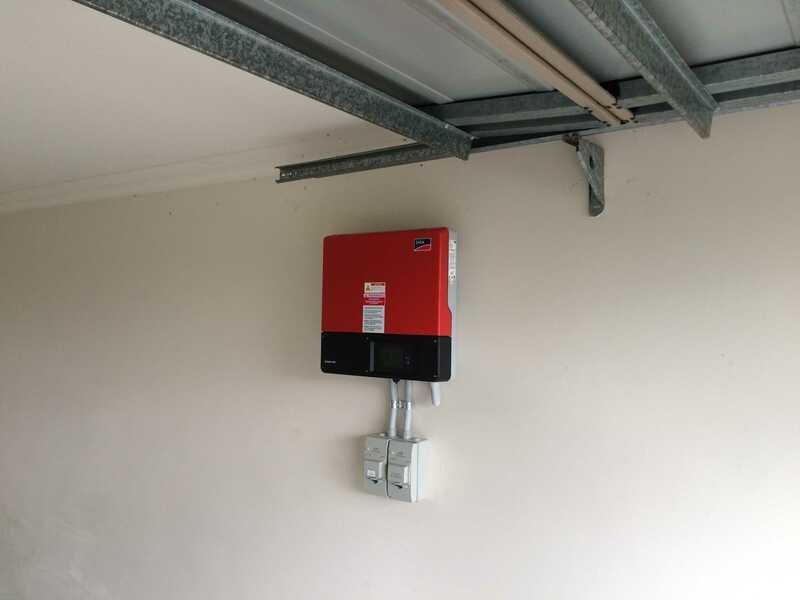 We will always do our best to minimise the use of external conduit for running cables to the inverter and meter board. 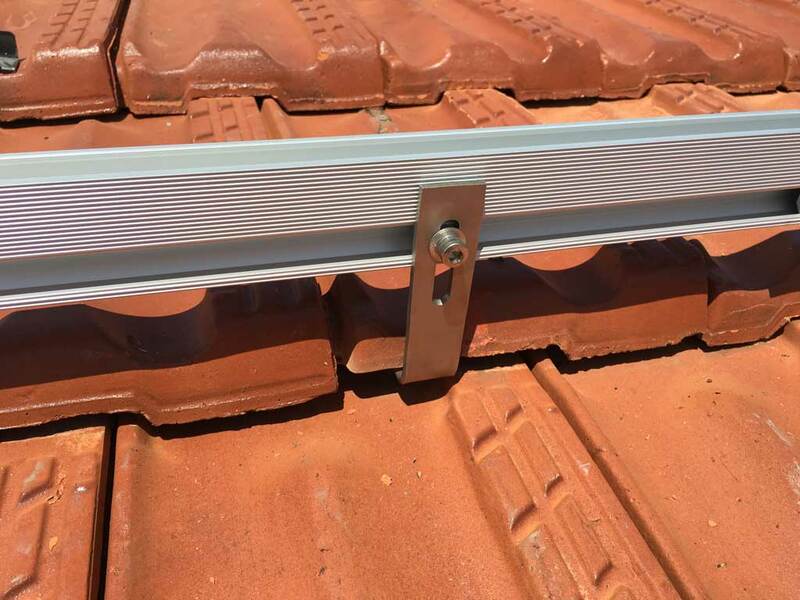 In most cases we are able to install systems with little or no external conduit making for a very attractive installation. 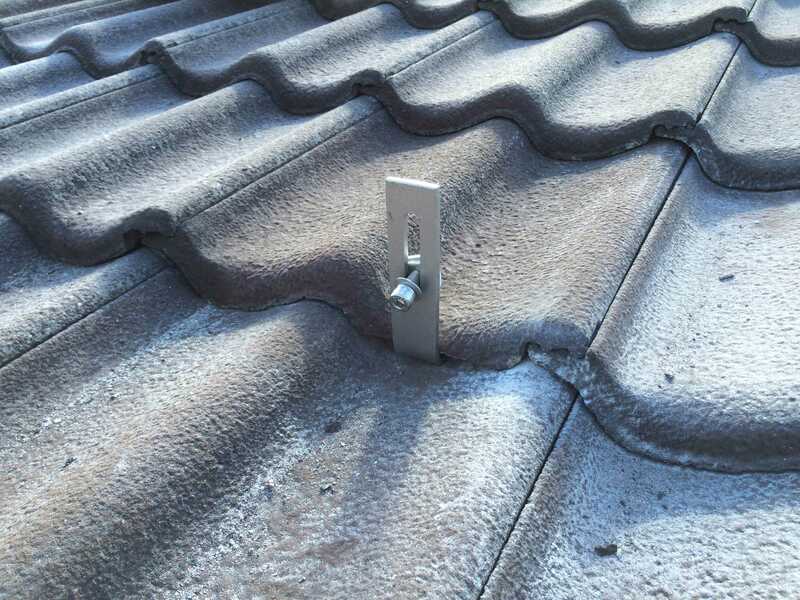 For some buildings this is not possible due to factors such as insulation in the walls. 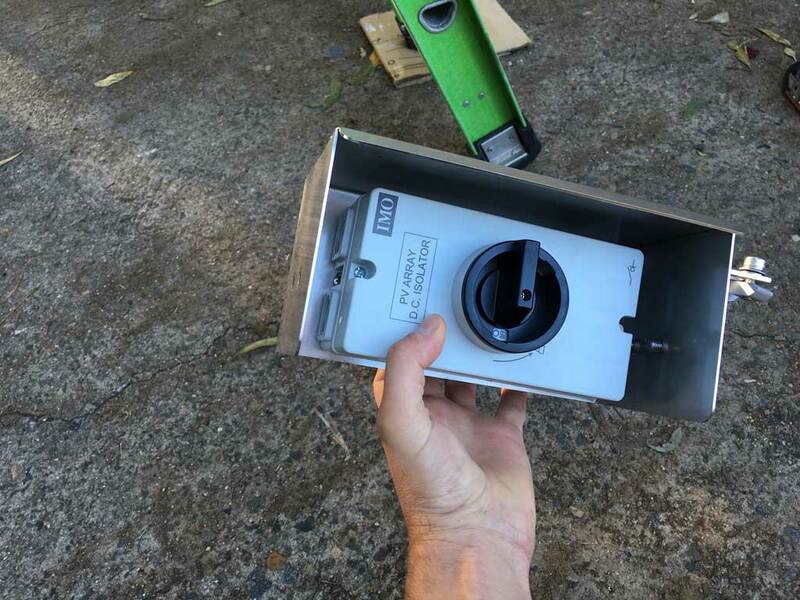 In these cases we will seek to run conduit behind drainpipes or other ducts to ensure a tidy look. 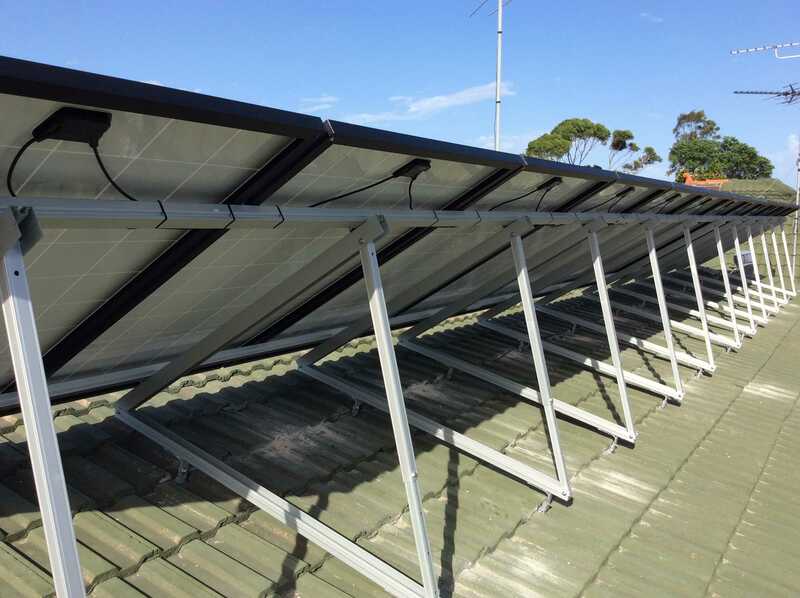 Australian Standards require solar power systems to have isolators (switches) on the roof, at the inverter and in the switchboard. This applies to both DC and AC systems. 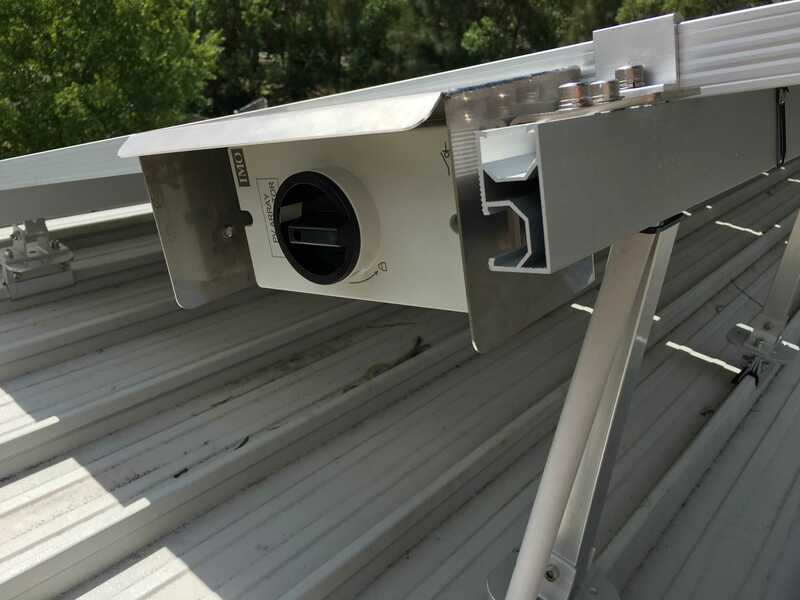 Rooftop isolators have been the source of many solar system failures primarily due to water ingress into the switch after it has deteriorated in the sun. At Solarbank we only use IMO DC isolators, which are made in Austria and in our opinion are one of the best available. 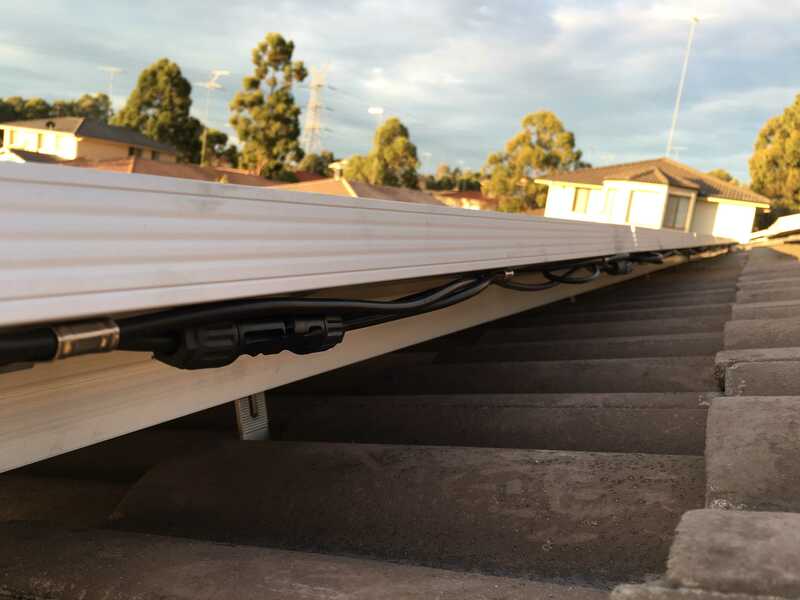 In addition to using the highest quality isolators we also install all rooftop isolators with a metal housing to shade the isolator and limit the exposure to the harsh Australian elements. Nothing looks worse on a home than an unlevelled solar array on the roof. We notice them (even if others don’t). 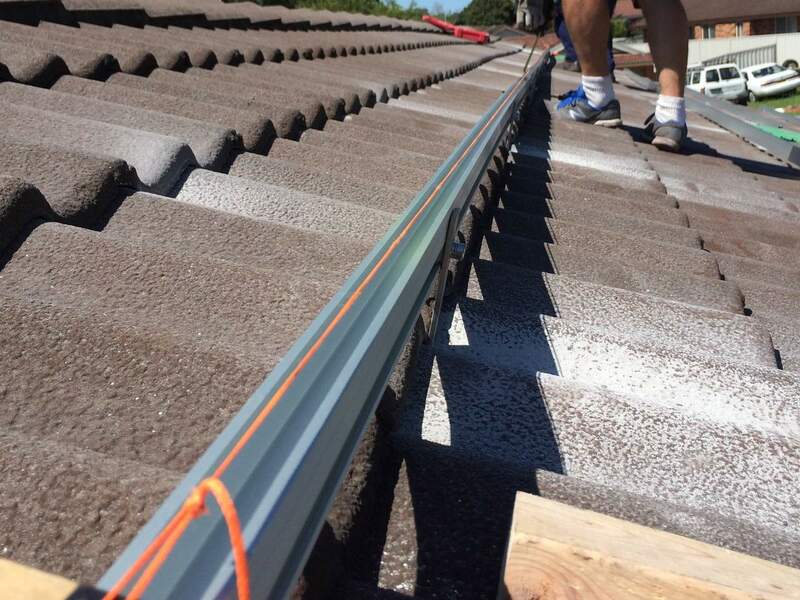 To ensure your solar panels are level we take measurements between the roof and the rail at either end then string line across the rail and then make adjustments to counter any bows in the roof (most roofs have a bow). 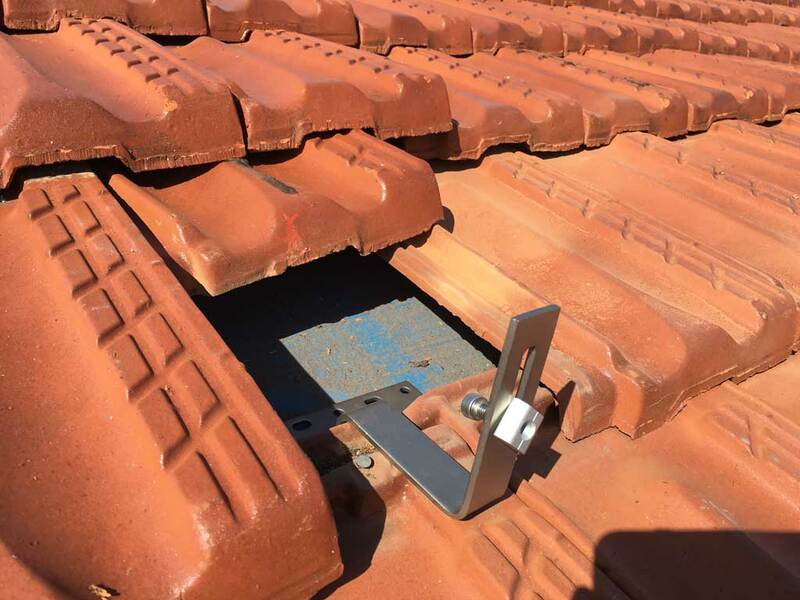 Australian Standards require the use of a Dektite® (or similar) gland for the cable entry through the roof. 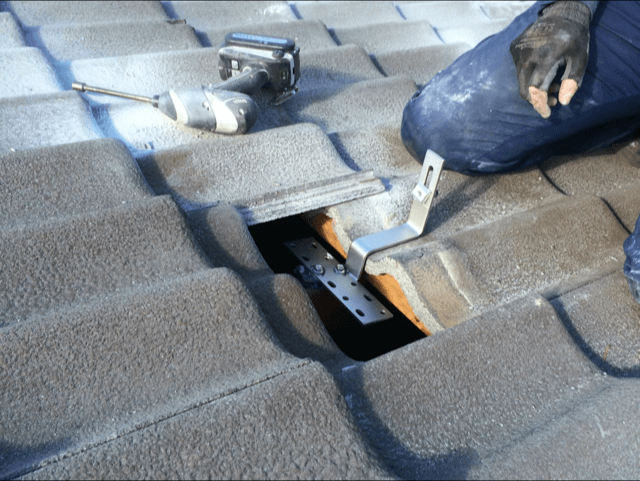 Solarbank uses full sized genuine Dektite® flashings to ensure a guaranteed watertight cable entry. 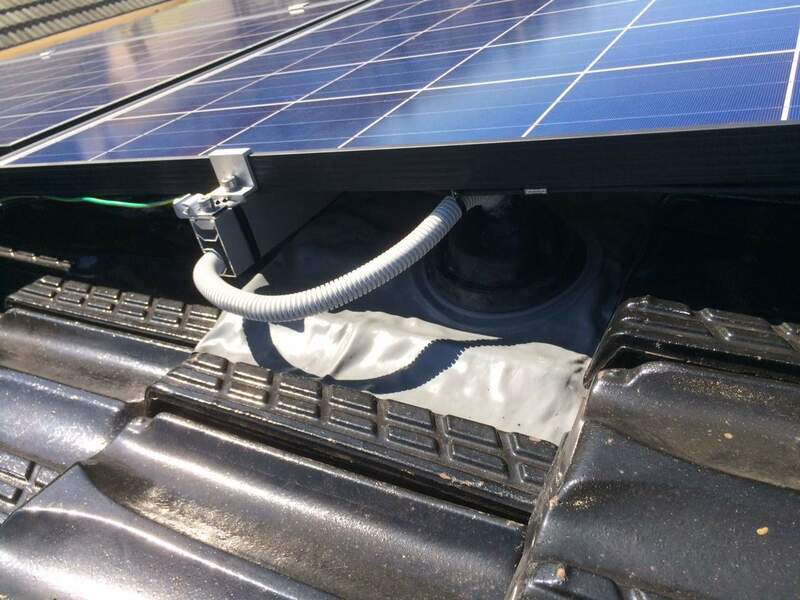 Australian Standards require that no cables be hanging under the solar panels and be in contact with the roof. 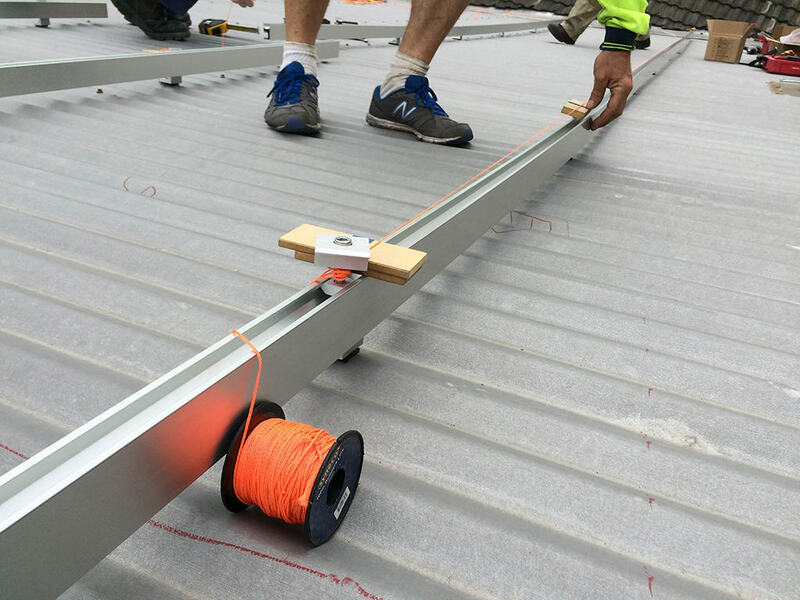 Solarbank uses a combination of stainless steel cable ties and cable clips to fix all cabling to the panels and rails, which means no contact with the roof for the life of the system.